Registering a company allows the business to acquire a firm position in the market. We are involved in providing to the clients all across the world. 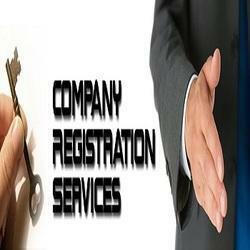 Our Company registration services are appreciated by the clients for their timely completion without any obstructions. All India Trade Service Company was established in the year 2006. All India Trade Service Company is a leading Intellectual Property Law Firm located at the historic city of Ahmedabad. Our offices are also located in Mumbai, New Delhi, Chennai, Kolkata, Bangalore, Hyderabad, Indore, Jaipur, Chandigarh, and Kochi, handled by our consultants. The company provides the latest professional services to private and public business sectors for Intellectual Property Matter in India and International countries. Our practice includes giving advices on all viewpoints of Patent, Trademark, Copyright; Design, Company Establishment including Licensing, Certification Services, Agmark, Hallmark, & Litigation Services. Our clients belong do various industries including Electronic, Mechanical, Software, Hardware, Bio-Technology, Pharmaceutical, Life Sciences, Healthcare, Telecommunication, etc. Our consultants & agents have advanced degrees in the latest scientific disciplines and vast experience in handling the issues of different sectors. So, we have our powerful combination of legal and latest technical knowledge, therefore we have become one of the successful IP Law Firms in India. Our main aim is to provide reliable legal services and good management to the clients by successfully representation.